Congratulations to Garin Edwards who was the winner of the Spirng League 2015 singles tournament defeating Matthew Cullingford in the final. 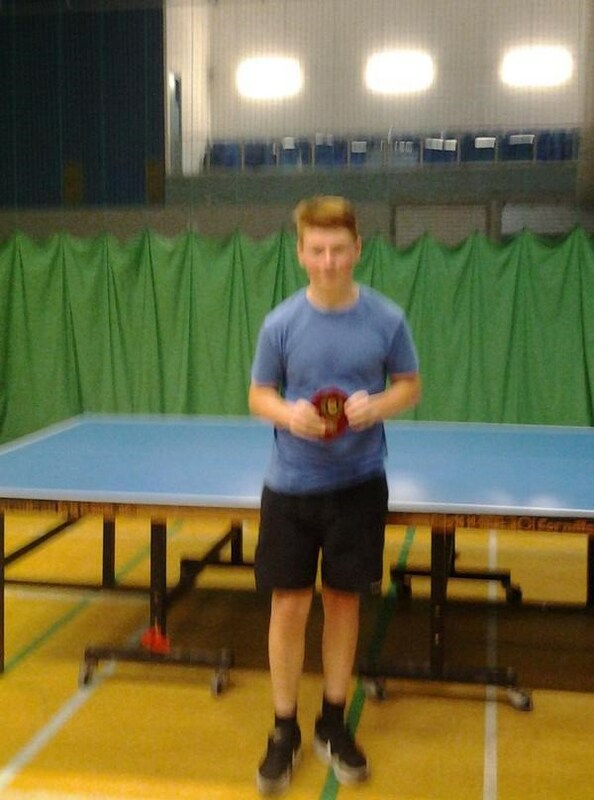 The end of league singles tournament was held on Sunday 5th July at Abertillery Sports Centre. There were eight players who participated in the tournament. The tournament started with two gorups of 4 players, with groups based on the league averages positions. The top 2 from each group would go through to the semi finals with the bottom two players in each group would enter the consolation event. Groups matches were played to best of three sets with the knockout matches to best of 5 sets. Group A featured top seed Garin Edwards, Iestyn Howells, Ioan Edwards and Tommy Woodland, whilst Group B contained Matthew Cullingford, Haydyn Skinner, Cerys Evans and Sam Slatter. In Group A, Garin kept up his excellent league form by winning all 3 matches 2-0. Iestyn and Ioan both won their matches against Tommy by scores of 2-0 and 2-1 respectively. The final match of the group between Iestyn and Ioan would decide who would be joining Garin in the semi finals. Ioan took the first set 11-5 but Iestyn fought back to win the next two sets 11-5, 11-5 to reach the semi finals. In Group B, Matthew and Haydyn secured their places in the semi finals with wins against Cerys and Sam. The match between Matthew and Haydyn would decide the winner of group B. Haydyn won a close first set 12-10. However, Matthew turned the match around to win 2-1 and top group B. Cerys finished third in the group after beating Sam 2-1 despite losing the first set. In the consolation event, Ioan won the first semi final 3-0 against Sam, whilst Cerys won the second semi final against Tommy, also 3-0. In the final, Cerys made a great start taking a two set lead. Ioan won the third set but Cerys prevailed to win the consolation final 3-1 (11-7, 11-5, 5-11, 11-6). In the main event, Garin faced Haydyn in the first semi final. This was a very close match. The first three sets could have been won by both players. Garin had a 10-7 lead in the first set but was pegged back to 10-10, however he eventually prevailed 18-16. Haydyn levelled the match at 1-1, (Garin dropping a set for the first time in the league). Garin then edged in front again winning a crucial third set 12-10 before completing the win 11-4 in the fourth set. In the second semi final, Matthew played Iestyn. 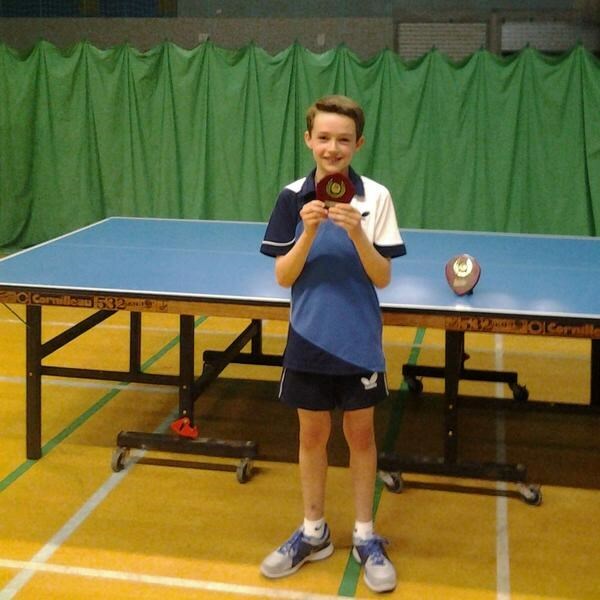 Matthew was too strong for Iestyn and came through 3-0 to set up a match against Garin in the final. The final was an excellent match to watch with both players performing well. Despite Matthew's great play and effort, it was Garin who claimed the league singles title 3-0 (11-7, 11-4, 11-7). Well done to all the players who participated in the tournament. We hope to set up a new league this autumn.